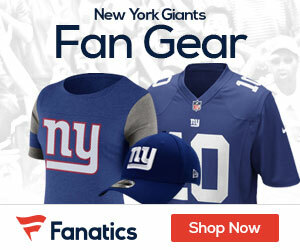 The New York Giants along with the rest of the NFC East are set to embark on another season, this after free agency, the draft, and a first look at some of the new players in OTA’s over the last few weeks. There’s been many odds already out there as far as wins go among the four NFC East teams, as well as many places for the Full list of football and sports results. 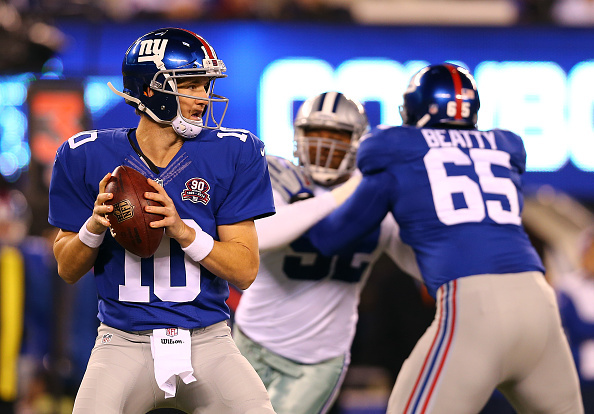 So where do the G-Men stand when it comes to projected wins in 2015? How does 8 sound? Yes, according to many sites, the Giants are expected to be right about .500, an 8-8 season, which may be good enough to make a run at a playoff spot, but let’s be real, it’s not going to be enough to be a contender in the NFC. Last season in their 6-10 campaign, the Giants were terrible on offense, putting up a NFC East low 380 points (23 points per game), while they allowed 400 points (25 points per game), tied for second most in the division with the Philadelphia Eagles, who by the way scored 474 points, nearly 100 more than the Giants. As far as win totals go, right now the Dallas Cowboys are listed as the favorite in the NFC East, as they are expected to win 9.5 games in 2015, and win the division. This despite losing running back DeMarco Murray to the rival Eagles. As for the Eagles, they are listed as a close second with nine projected wins in 2015. With a wild offseason of moves including trading quarterbacks with the St.Louis Rams, the Eagles are going to be heavily watched in 2015 as a team that can go up or down in a hurry with Chip Kelly running the show. The Giants are a third with eight wins, followed by the Washington Redskins, who are expected as of now to win just 6 games, a team with plenty of questions including how Robert Griffin III is going to be at the QB spot this year for the team out of the Nation’s Capital. There’s a lot of things that can happen between now and opening day, and just like always, the NFC East is going to be a fun division to keep an eye on in 2015. The season begins on September 13th in Dallas, Texas versus the Cowboys. They will return home the following week for the home opener against the Atlanta Falcons. Tickets on the secondary market start at $117 for the Atlanta game, according to TiqIQ.com, and you can find hotel deals near MetLife Stadium for as low as $110 Saturday evening on Hipmunk.com. make sure to check out Hipmunk hotel guide that provides tips and special offers every day.